(1946) Letter from Mireille to Peter Kölle, german incarcerated in Fresnes. 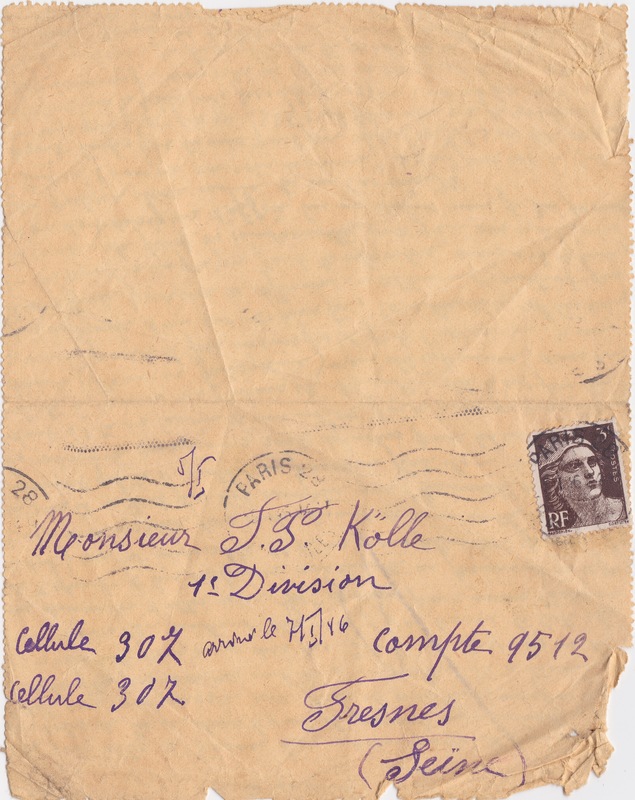 Letter from Mireille (Paris), to F. Peter Kölle, 1st Division, cell 307, account 9512, Fresnes (the Prison); the letter arrived on the 7th of January 1946; the recipient was a german (soldier?) incarcerated after the Liberation, and the author’s fiancé; letter paper (17×13,5 cm) folded in the middle and directly stamped, no envelope. The author and the recipient married around 1951 in Germany, after Peter Kölle had there returned to live and worked as a travel operator. 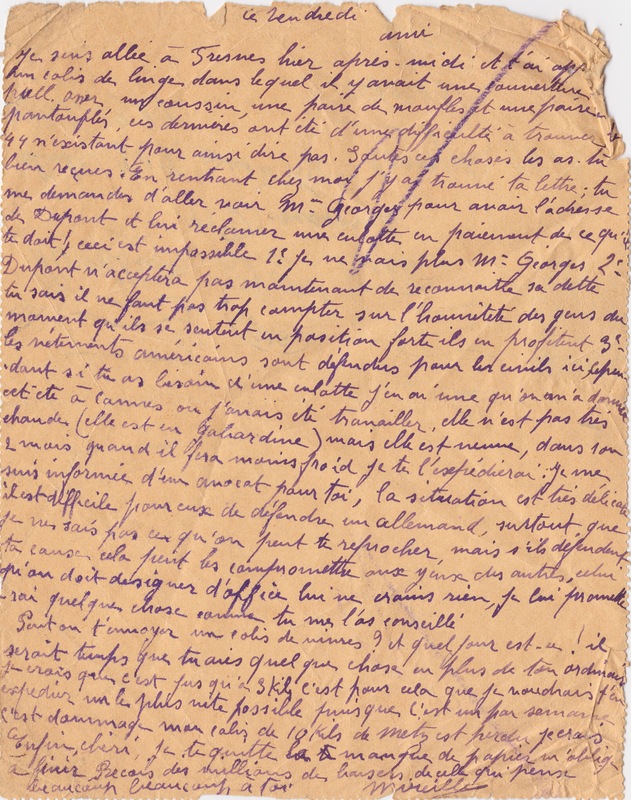 Letter found in july 2017 in a Seine-et-Marne’s (France) flea-market.